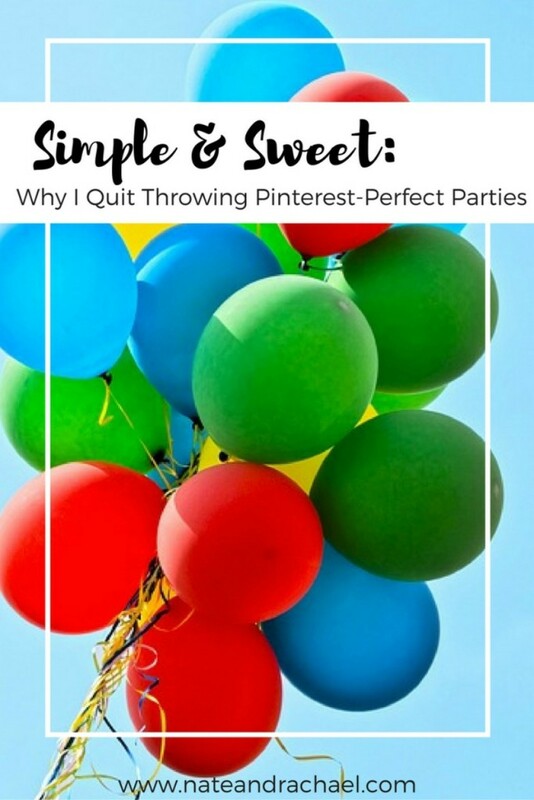 There was a time when it brought me great joy to throw big, pretty, pinterest-worthy birthday parties for my girls. We had themed parties (pink airplanes, pink lemonade and pinwheels, and trains) with birthday party games, fancy fondant cakes, and DIY printed invitations. I even threw a pinterest-perfect murder mystery party for my own 30th birthday! At a castle. But that’s not the story for this season. With a new foster baby in our home, I have nothing extra to devote to planning a party. I don’t have time for the preparations, my husband and I don’t need the stress, and (perhaps most importantly) my girls don’t care if the party is epic or fancy. For their fourth and sixth birthdays, all they wanted to do was play with friends and eat cake. So that’s what we did. For our daughter’s fourth birthday, I opened up our backyard on a drizzly day and asked friends to come over and play in the puddles. 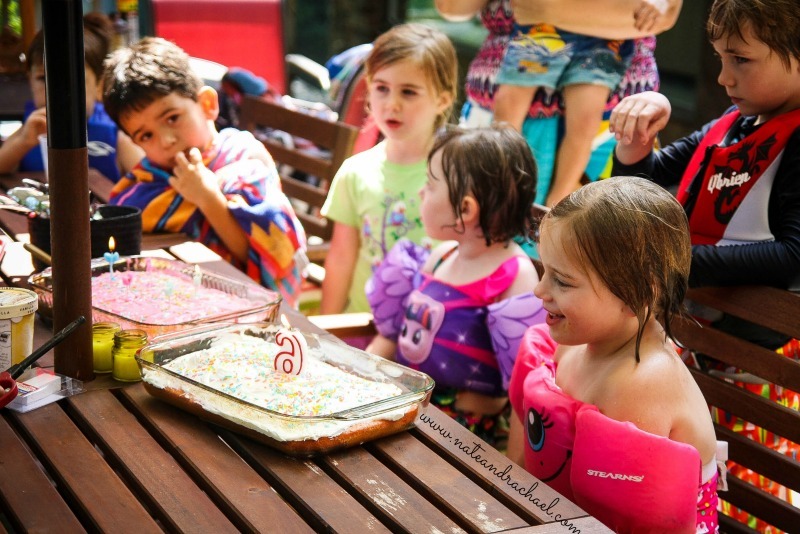 We ate pretzels, splashed in the kiddie pool, and sang happy birthday while eating cupcakes made from a box mix. Our older daughter’s sixth birthday was a little bit bigger, because 1) it was sunny, 2) it was Labor Day, and 3) my parents offered to host at their house. 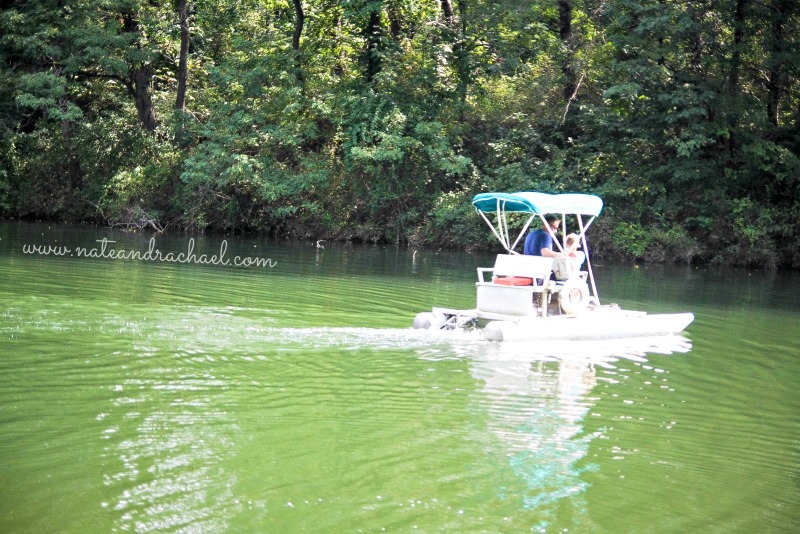 So we invited people to my parents’ beautiful lake home. 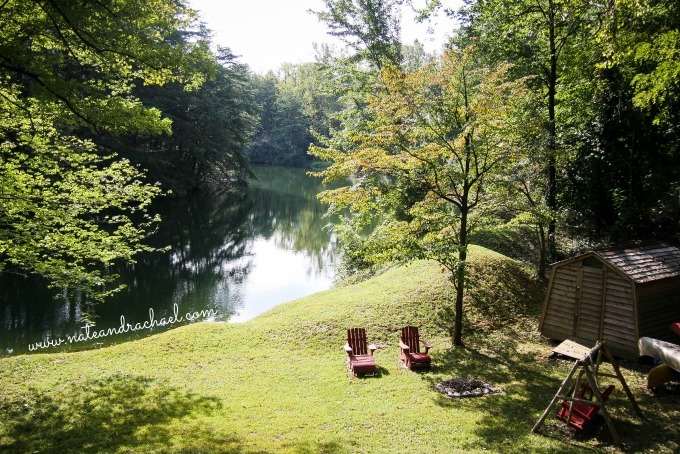 We roasted hot dogs, paddled around the lake, ate the cake that the girls helped me to mix up and ice (from a can) the night before, and shared the side dishes that our friends insisted on contributing. Technically we celebrated a birthday. But, really, the main focus was quality time with some of our favorite people. And, honestly, isn’t that the secret to throwing the perfect birthday party? 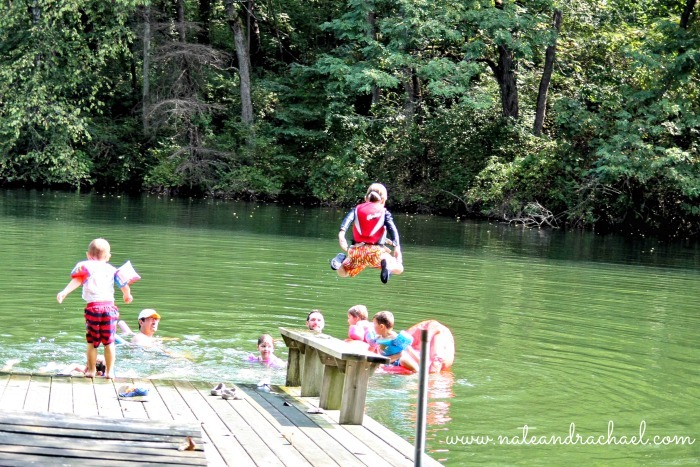 What better way to celebrate life than by laughing, eating, swimming, and singing with the people you love? For this party, we sent friends home with packages of WaterWipes. 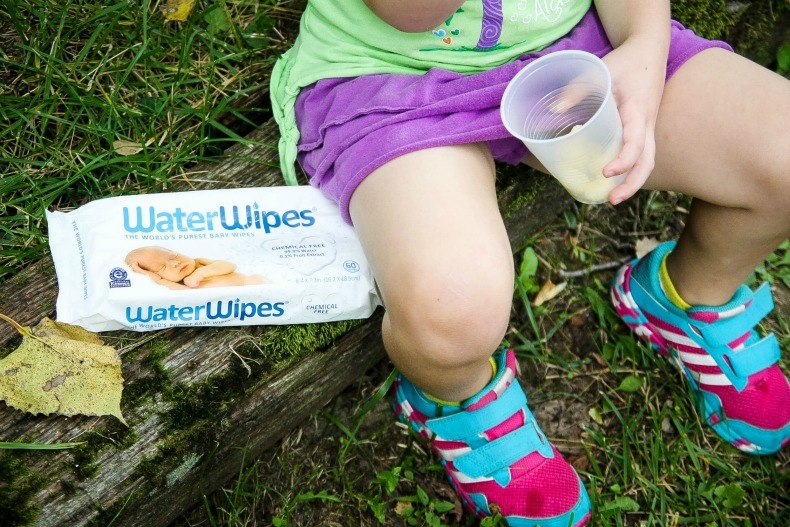 Even the families that are (luckily) done with diapers can use chemical-free wipes to clean off hands and clean up messes. After all, “baby” wipes aren’t just for babies. 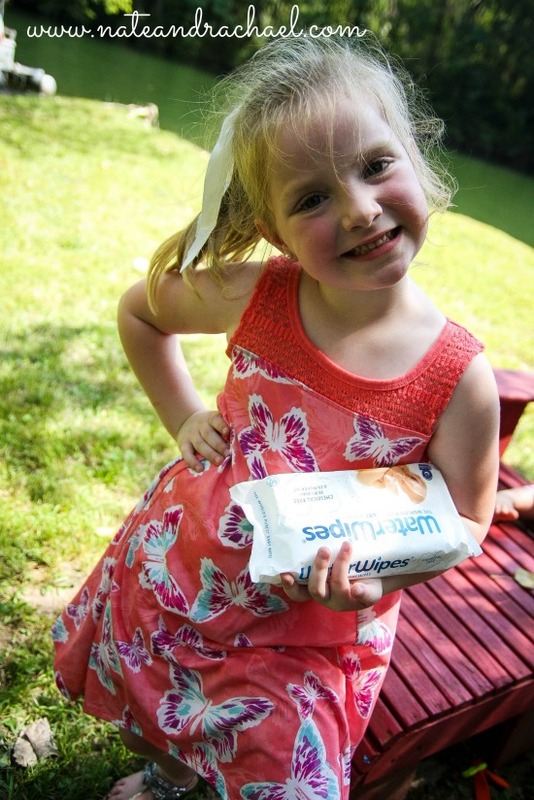 We relied on a package of wipes to clean up messy little fingers at our Labor Day shindig. We even got a few of our sweet little friends to do some modeling for us. These wipes are soft enough for baby skin yet durable enough for big kids. And since they’re 99.9% pure Irish water and 0.1% grapefruit seed extract, I feel great about sharing them with our little friends. 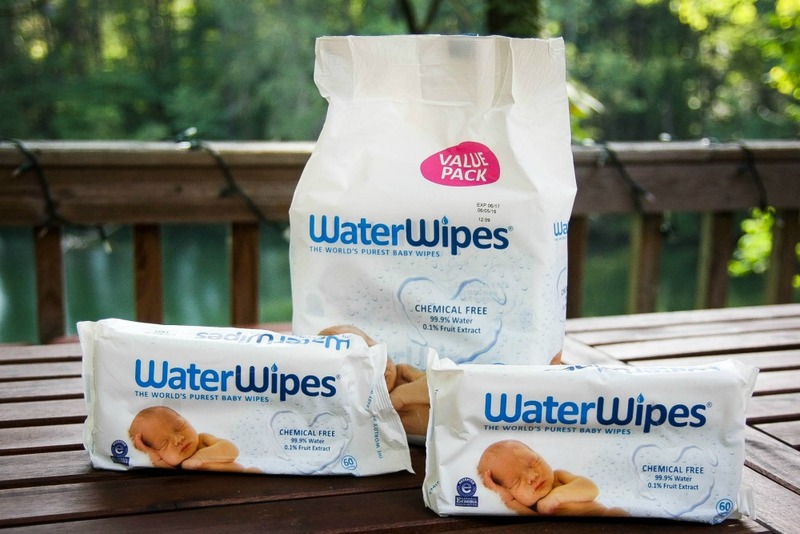 No need to worry about harmful chemicals with WaterWipes. A few days later it was our oldest daughter’s actual birthday. We took early baths, ate leftovers in our pajamas, watched Charlotte’s Web, blew out more birthday candles, and breathed a huge sigh of relief. Our daughter felt special, doted on, and loved. And we not only survived the celebration, but we actually enjoyed every bit of it–even the party.